Dry roast all above ingredients ( except kastoori methi and black salt) till nice flavour comes out. Switch off the stove and add kastoori methi and black salt. Cool completely and dry grind to a fine powder. Sieve it well to get a smooth powder. Store it in a clean dry jar.Use as you need. Roast the raw banana in flame till dark or boil them with skin in a pressure cooker. Cool and peel out the skin.Chop into small pieces or grate it. Heat a drop of oil in a pan and roast urad dal,thur dal and chillies till light brown.switch off the stove and add salt and hing. Cool and make a coarse powder lastly add the banana pieces and pulse once. 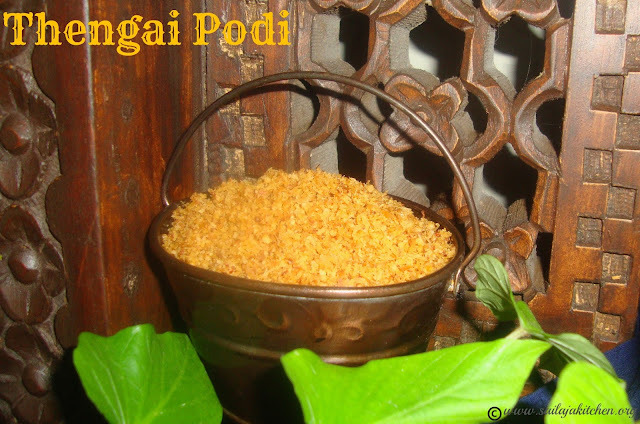 Add few drop of sesame oil and podi to hot rice mix and enjoy! Dry roast all above ingredients except neem flowers till light brown in a drop of oil. Switch off the heat and add the neem flowers and roast it in the pan heat. Cool the mixture add salt and grind to a semi smooth dry powder. Store it in a clean bottle,add a teaspoon of the podi to hot rice add ghee or sesame oil mix and enjoy. Dry roast all above ingredients till nice aroma comes and light brown. Do not over fry and burn them. Cool the ingredients and grind to a semi smooth dry powder. Store it in a air tight container or glass bottle. Heat oil in a pan fry onion ,ginger and garlic paste with few curry leaves till light brown. Add the washed chicken and needed pepper meat masala,salt and turmeric powder. Pour very little water and cook till chicken is soft and oil has separated the masala. Your pepper chicken is ready. You can also use this masala for egg or mutton fry. Slightly heat up the cloves,cardamom,cinnamon and pepper in a kadai.Do not dry roast too much. Cool and add the remaining ingredients,put it in a coffee grinder. Dry grind the ingredients to a semi smooth powder . 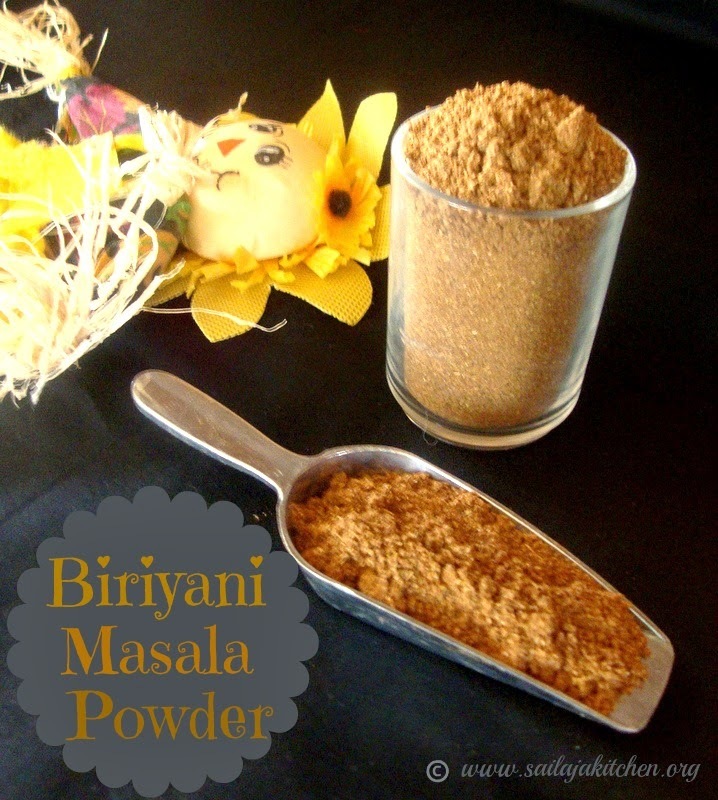 Store it in a clean dry bottle.Add needed tea powder while making your tea. Filter and serve them hot! Dry road all above ingredients separately till light brown and nice aroma comes.Do not burn them. Cool the ingredients and powder them using a blender. As there is coconut in this powder please store it in fridge. 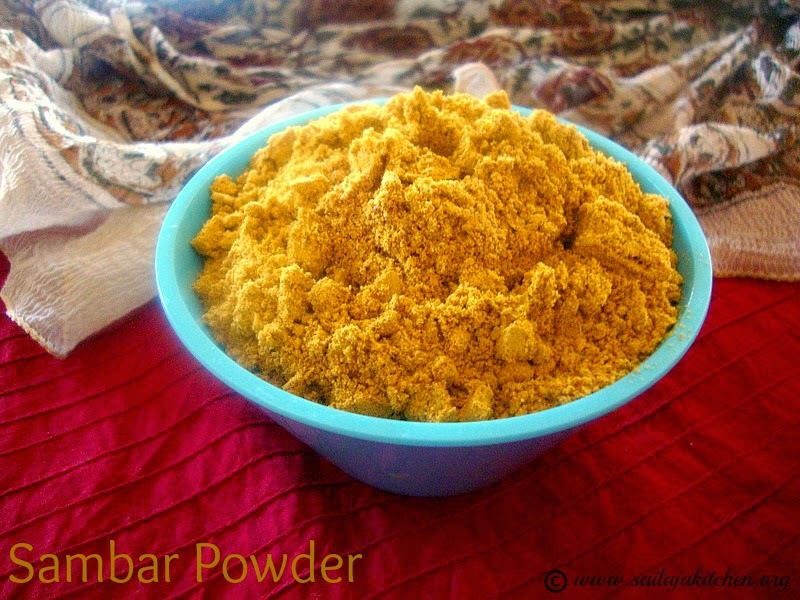 Make sambar as usual lastly add 1 or 2 tsp of this powder,mix and give a boil. 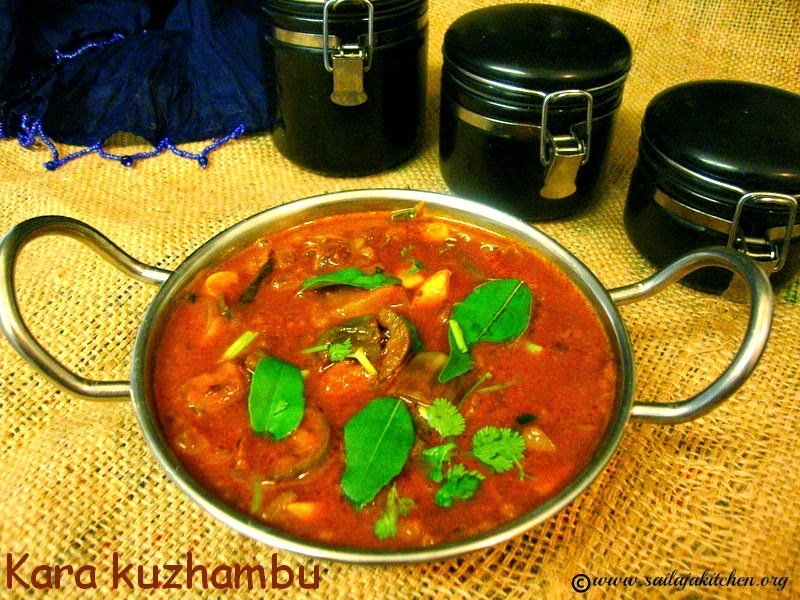 Switch off the stove and your Arachuvitta sambar is ready to have with Idly,Dosa,Pongal,Plain Rice or Vada. Take a pan and dry roast above mentioned ingredients except mustard,curry leaves & methi till light brown in colour & nice aroma comes. In the same pan dry roast mustard,curry leaves & methi. 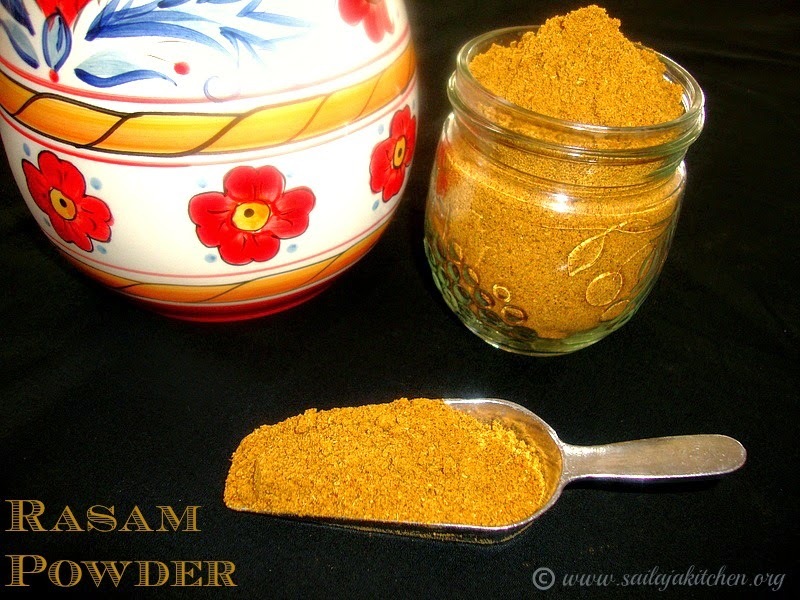 Add roasted methi,curry leaves,mustard,dry coconut,hing & turmeric to the ground powder. Mix well and store it in fridge. When you want to make Mor Kulambu just add 1 or 2 tsp of this mixture to beaten curd.Add it to boiled vegetable with little salt & just heat the mixture.Once the mixture rises up switch off the stove. Enjoy with plain hot rice ! 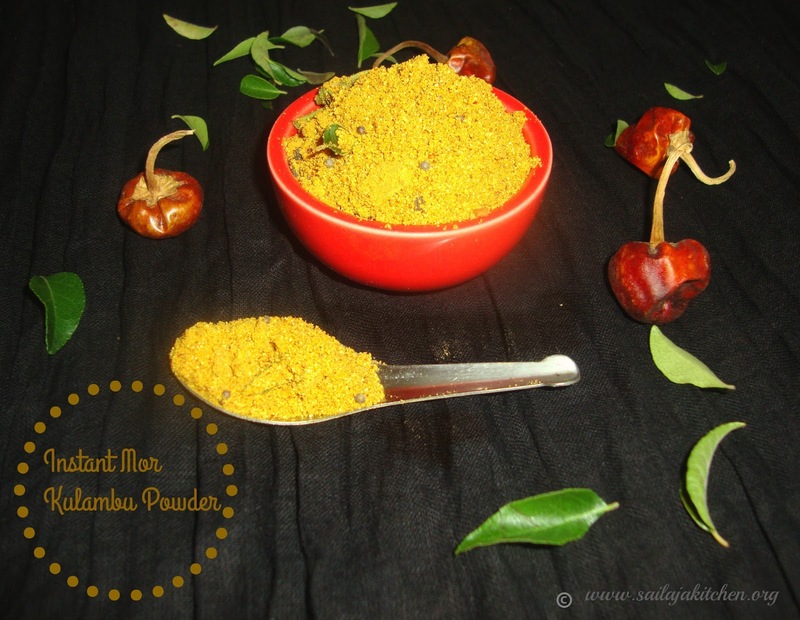 a) If you want to store the powder at room temperature then avoid dry coconut.For coconut flavour just add a teaspoon to the cooked mor kulambu at the last. Pour oil in a pan add all the above ingredients one by one. In low flame roast it till light brown in colour.Do not burn them. Cool it & dry grind to a semi fine powder. Cool & store it in a container in fridge. 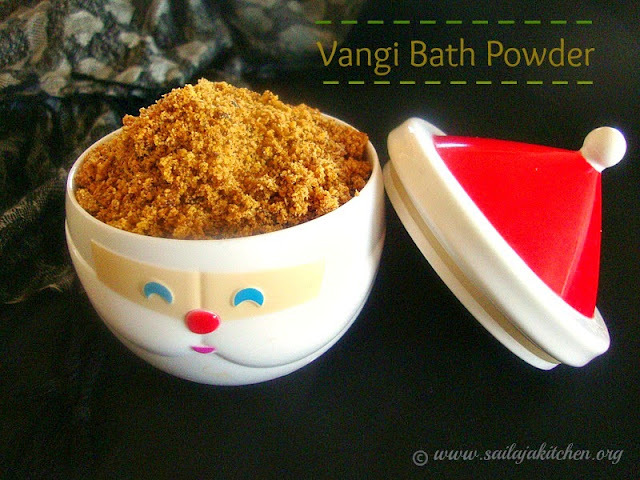 Add required amount of this powder while making vangi bath. a) My chillies where not hot so i used 12,adjust according to your chilly variety. Dry roast the cantaloupe seeds till light brown in colour,keep it aside.Dry roast all above ingredients except coconut & garlic till light brown.Dry grind the cantaloupe seeds in a mixi till powder,keep it aside.Coarsly powder the other ingredients.Mix all the powders together & store it in a dry clean jar.Served best with hot rice. Heat oil in a pan add all above mentioned ingredients except coconut & hing. In medium low flame roast till light brown & nice aroma comes out. Do not over fry & burn them. Switch off the flame & add the hing & coconut,give a nice mix. Cool this mixture & dry grind to a fine powder. Store it in a jar & keep it in fridge to retain the freshness. a) Colour of the powder depends upon the quality of the red chillies. b) I usually keep podi which has coconut in fridge to retain the freshness of the powder. 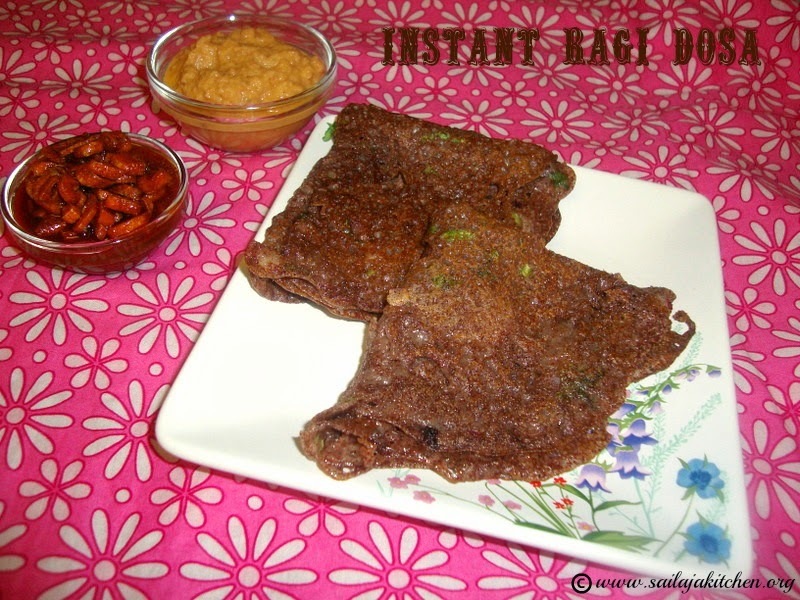 Heat oil in a pan & roast urad dal & red chillies till light brown.Keep it aside. In the same pan in medium low flame roast the coconut till light golden brown. Switch off the stove & cool the mixture. 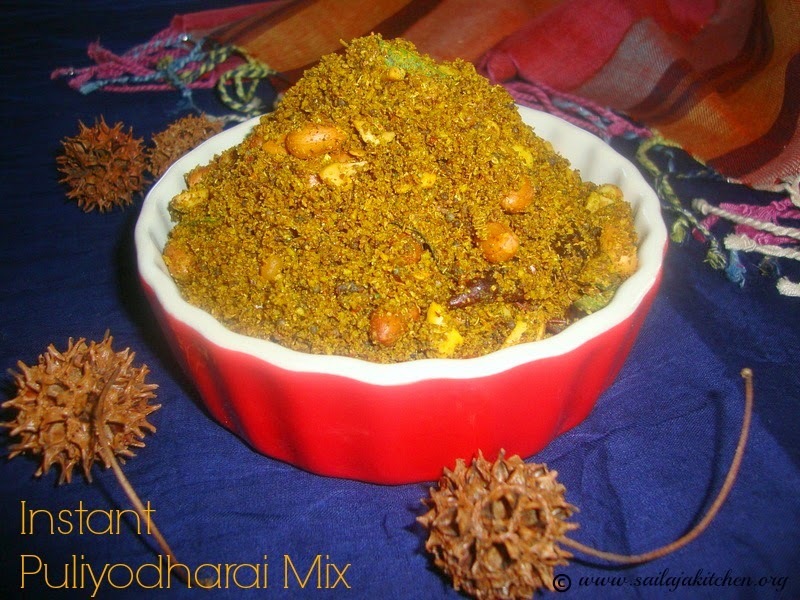 Take a mixi jar and dry grind the urad dal,chillies,salt,jaggery& hing to a coarse powder. Now add the coconut & pulse it for few seconds. Cool & store it in a clean bottle in fridge. Mix the needed powder to hot rice add some ghee mix & enjoy ! 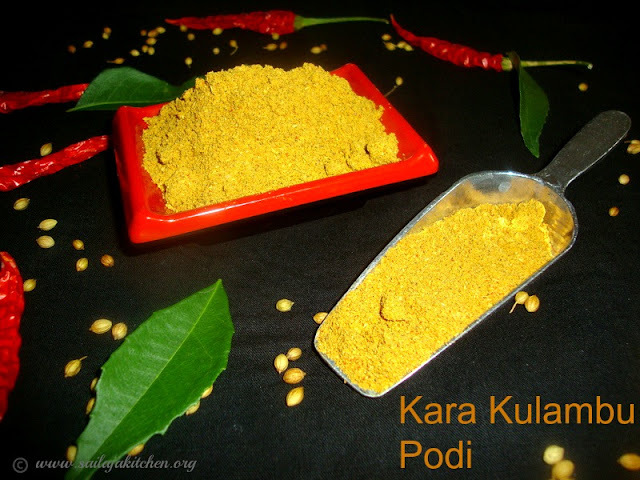 a) Adding garlic & jeera to this podi is optional. b) Fry the coconut well for better shelf life. 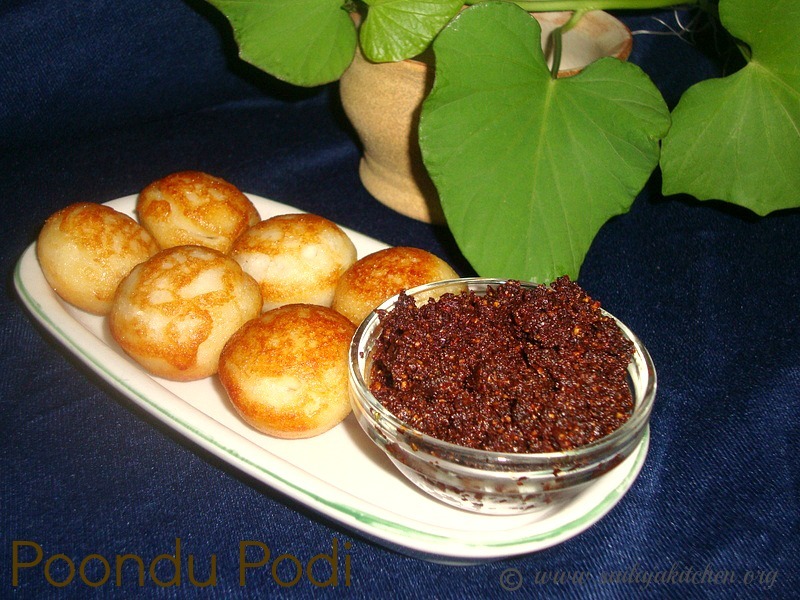 c) You can also make this podi with dessicated coconut. Put all the above ingredients in a mixi jar. Dry grind to a fine powder. Store it in a clean jar. a) This powder is used while making any vegetable frys. b) Can be sprinkled on Idli & Dosa. c) Can be a stuffing for karela,okra,brinjal recipes. d) I usually store this powder in fridge to retain the freshness. e) While grinding you can also add few curry leaves. Dry roast all ingredients separately except hing & turmeric powder till light brown. Do not over fry & burn them,switch off the stove. While still all the ingredients where hot i added the hing & turmeric powder,mix. Cool the ingredients completely & dry grind to a smooth powder. Add few drops of oil in a pan add the dry red chillies. Fry in medium low flame till its dark.Do not burn them. Cool the chillies,take a mixi jar add the chillies & salt. Dry grind till its powdered.Now add the garlic & blend everything well. Store it in a clean dry jar. While serving add some sesame oil mix & best served with Dosa or Idly. If you don't like the raw garlic smell,then slightly roast it & then grind. Add above mentioned ingredients except hing & turmeric powder in a pan. In low flame dry roast till colour changes & you get a nice smell. Switch off the stove add the hing & turmeric powder.Let this mixture cool completely. 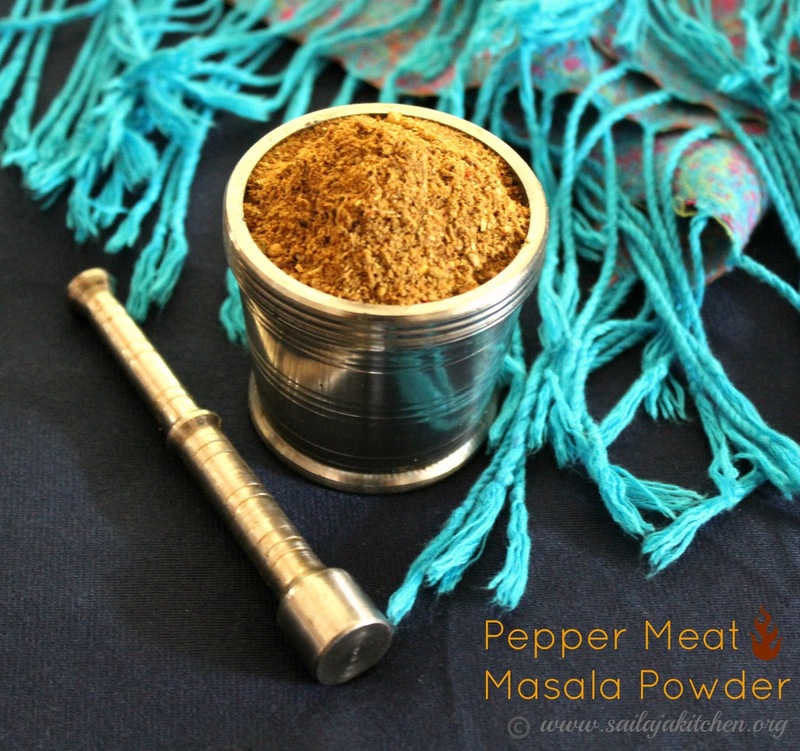 Grind this to a very fine powder in a coffee grinder or mixi. Cool & store it in a clean dry jar. 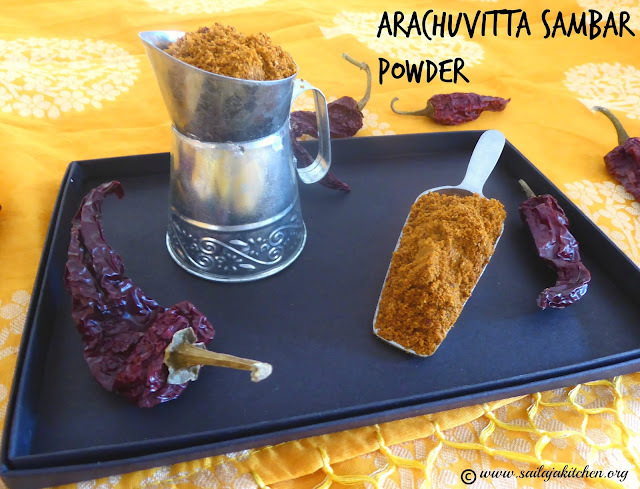 a) Add 1 or 2 tsp of the powder while making Kara Kuzhambu. Heat oil in a pan,add all the above mentioned ingredients. In low flame roast it till light brown.Do not over fry & burn them. Cool the mixture completely.Dry grind to a fine powder. 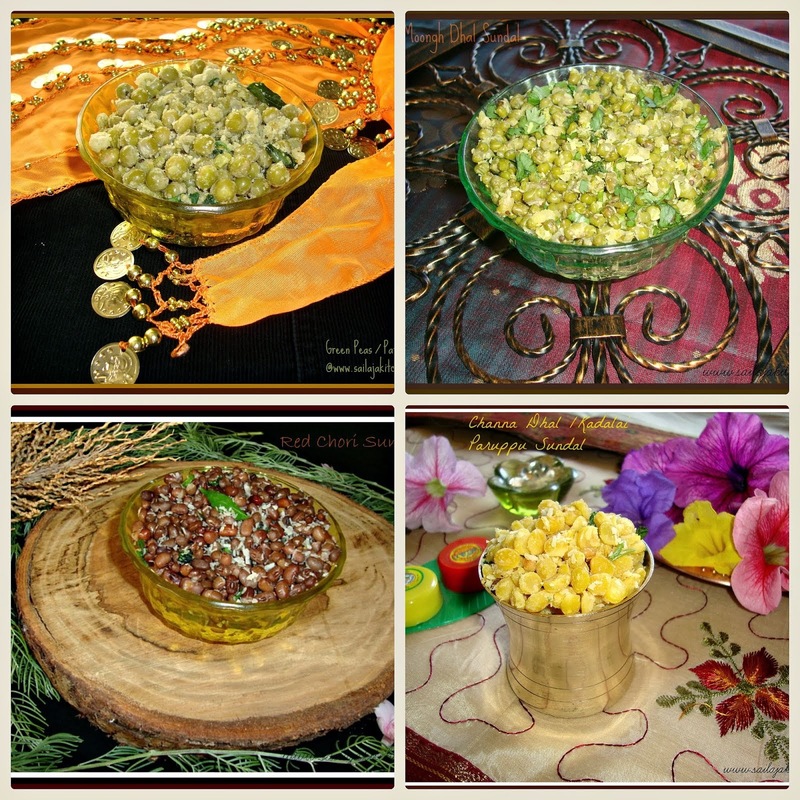 Sprinkle 1 or 2 tsps while making any daily poriyal,south indian sabzi or palya. Dry roast each & every ingredient separately. Cool completely & dry grind to a fine powder. 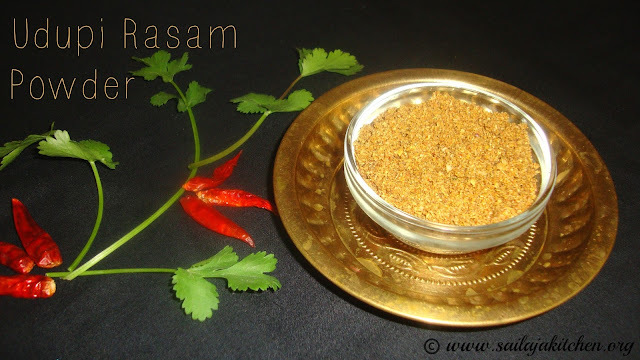 a) Add 1 or 2 tsp of rasam powder while making rasam. 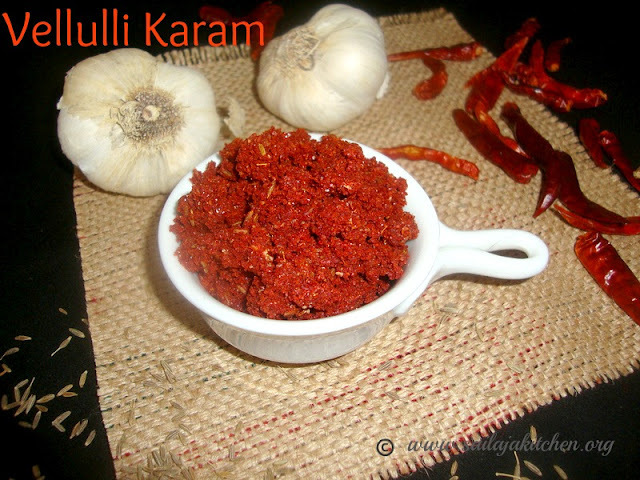 b) As i did not have virali manjal i added 1 tsp of turmeric powder while grinding.Do not fry turmeric powder. 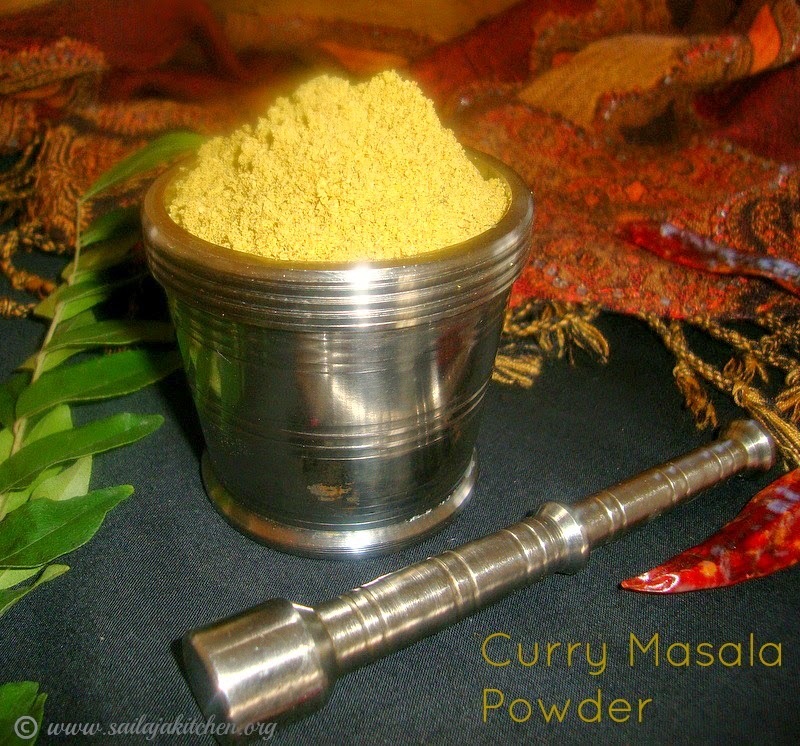 c) Adding hing to this powder is optional ,I add while making rasam. d) Store it in a clean airtight bottle to retain the freshness of the powder.I usually store it in fridge for months. Cool completely and fine grind to a smooth powder. Store it in an air tight clean container. b) Do not throw away the cardamom skins,use it while making tea. c) Store it in fridge if making a huge batch,it stays fresh for months. Tamarind - bigger ball than a lemon size. Heat the oil in a pan in medium low flame start adding above ingredients one by one. Roast them till its light brown in colour.Do not burn them. 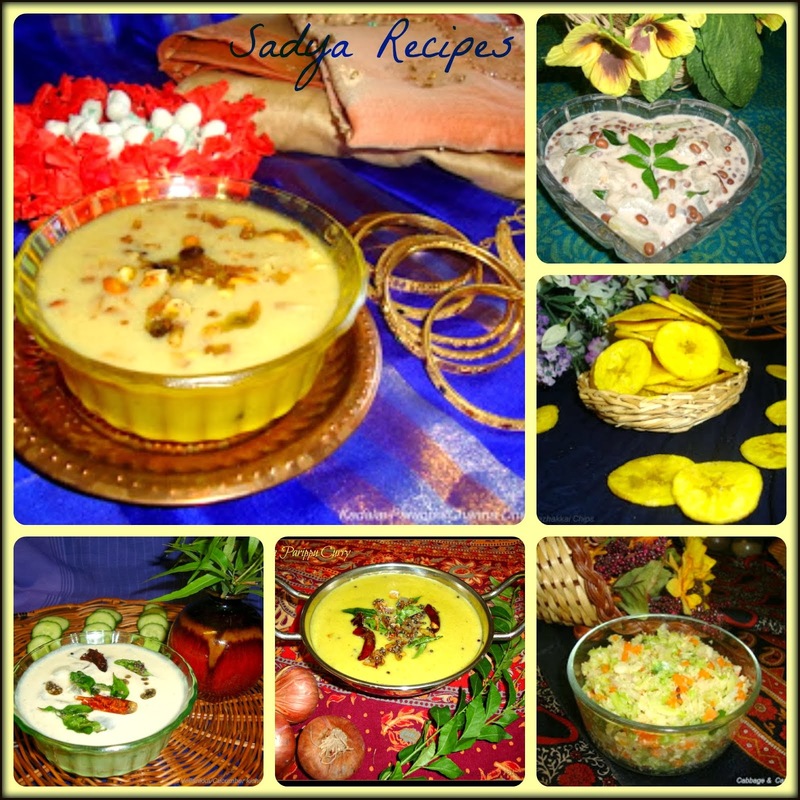 Switch off the stove & add the jaggery. Cool completely & grind to a semi coarse powder. Heat oil in a pan & add above ingredients. Fry till its light brown in colour.Switch off the stove. Now once cooled add the tamarind dry mix powder. Mix them well till everything is well combined. Cool completely & store them in a clean jar in fridge. Take a pan heat it up with 1 or 2 tsp of sesame oil . Add the cooked rice & required quantity of the readymade tamarind mix. Toss well till everything is well combined. 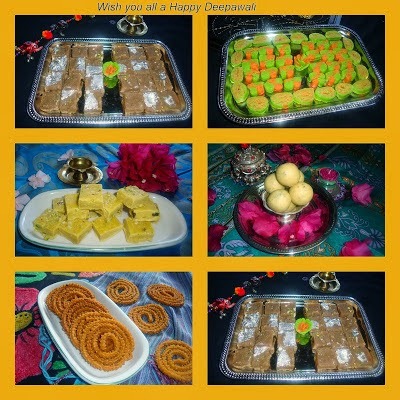 Enjoy them with chips or Papad ! Dry roast all above ingredients separately till nice aroma comes. Cool the mixture add salt & powder it in mixi to a coarse powder. 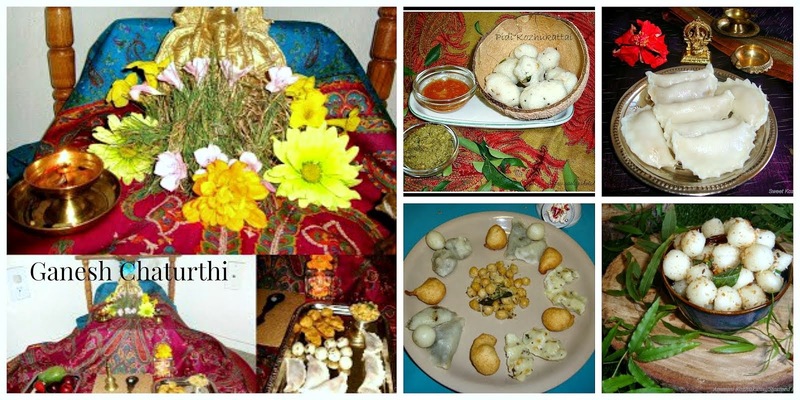 Store it in a clean dry jar,mix some with hot rice with little ghee or sesame oil & enjoy!